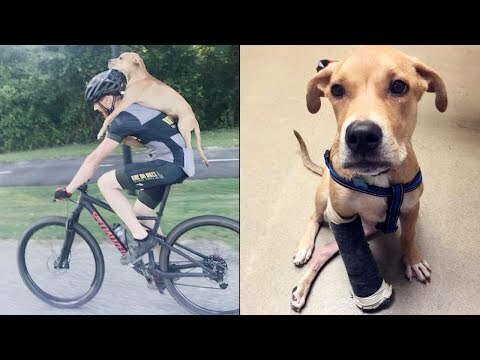 A mountain biker couldn’t leave a 5-month-old stray dog he found near a Georgia sewage treatment facility. The poor thing was wounded and could barely walk, so Jarrett Little hoisted him on his back and got on his bike for a seven-mile ride into downtown Columbus. He took the dog to a local bike shop for some water and food, and it was there that the pup took an instant liking to a woman named Andrea Shaw. InsideEdition.com’s Keleigh Nealon (http://twitter.com/KeleighNealon) has more.